With any medium, the more you know about it, the more you can appreciate it. Naturally, the same is true of comic books and now that fans who grew up reading comics are working in the industry, we’re treated to more in-jokes and nods more than ever. Here’s a look at another, cool Comic Book ‘Easter Egg’! 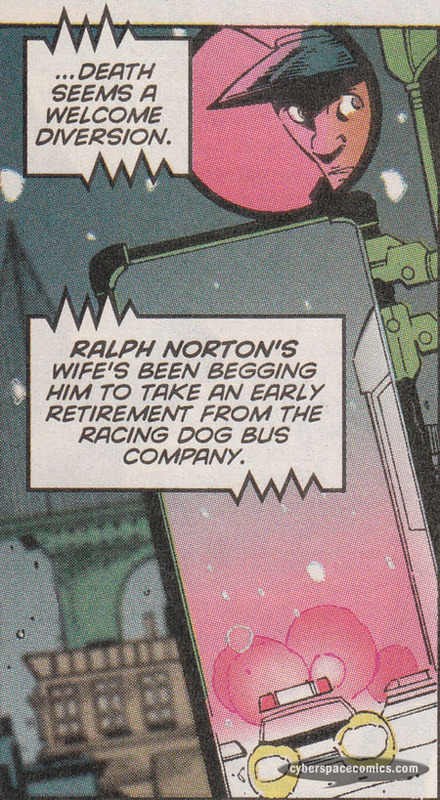 In X-Factor #143, a terrorist named Jude Black takes a hostage on a bus … and the driver’s name is Ralph Norton. This was a little nod from the writer, Howard Mackie, to the classic Honeymooners television show. On that sitcom, the lead character’s name is a bus-driver named Ralph Kramden who has a friend named Ed Norton.